COCKTAILS in the Cantina includes: 1. STAR WARS Main Theme 2. 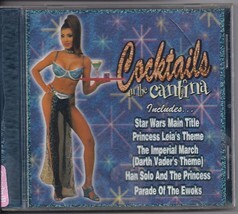 Princess Leia's Theme 3. The Imperial March (Darth Vader's Theme) 4. Cantin Band 5. Ben Kenobi's Deat / The Fighter Attack 6. Han Solo And The Princess 7. Yoda's Theme 8. Lando's Palace 9. The Asteriod Field 10. Parade of the Ewoks 11. Binary Sunset 12. The Throne Room 13. End Title 1999. 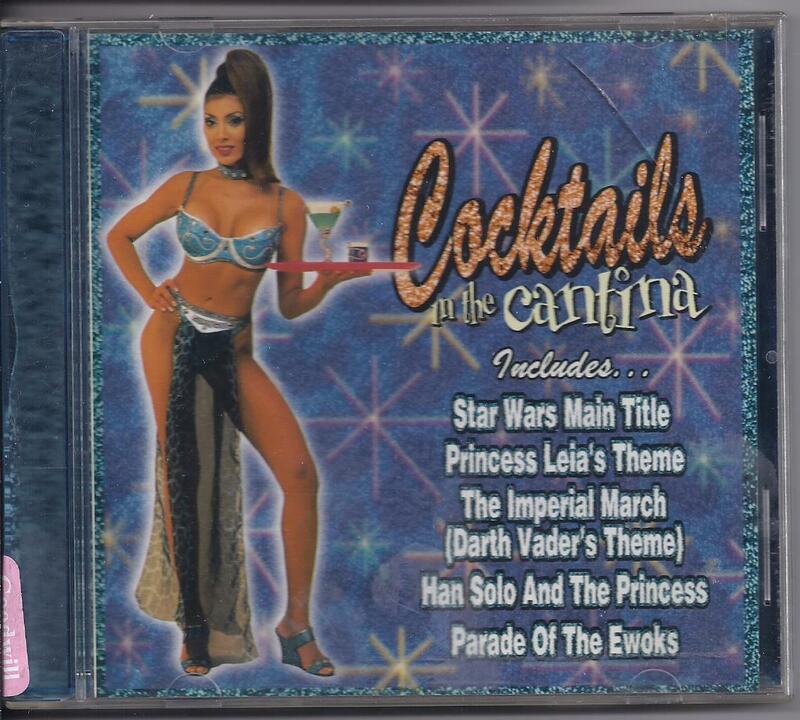 The Olga Entertainment Group, Inc. 'This product is not an official Star Wars soundtrack and is not endorsed by Lucasfilm Ltd. CD disk is like new. Shipping is 2.95 to anywhere in the USA. International shipping rates apply. Please continue to browse this store for lots more Star Wars Collectibles often and thank you for stopping by!